Every spring and fall, we take the time to participate in the Occupational Advisory Committee meetings for our local Career and Technology Centers (back in the day, we called these schools “Vo-Tech”). We gather with the dedicated teachers and administrators to provide feedback, listen to challenges, and offer our expertise. We audit their curriculum, make recommendations for equipment investments, and inspect their facilities for safety. This dialogue between educators and employers is crucial for building the next generation of employees, be they machinists or welders or automotive technicians (or pastry chefs or electromechanical engineers or healthcare workers). We are fortunate that both CTC schools in the county in which Peiffer resides continue programs for Machine Shop Technology (or Precision/Computerized Machining Technology, as it’s called at one school). Why take the time to attend these meetings? 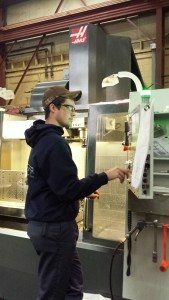 Because these programs are a vital wellspring for the pool of future employees, not only for Peiffer Machine, but for many manufacturers and machine shops around the country. Our collective voices and involvement lend credence to the viability and sustenance of these programs. Parents and students need to know: these skills are highly valued and translate into awesome careers…. Life sustaining careers. Graduating from one of these programs may include credits toward advanced degrees at affiliated colleges. Or, students may begin their careers directly out of high school, earning respectable wages and learning more “on the job”, whether as part of a formal or informal apprenticeship program. Sadly, some CTC schools, faced with lagging enrollment, are forced to make tough decisions about which programs they keep and which they discontinue. This is the critical juncture at which voices from the community can and do make a difference. So at Peiffer, we’re dedicated to raising awareness: Machine Shop/Machining Technology education matters. Foundational skills learned through hands-on training and competency testing, combined with relevant academics and life skills, equals a promising outlook for the Next Generation.